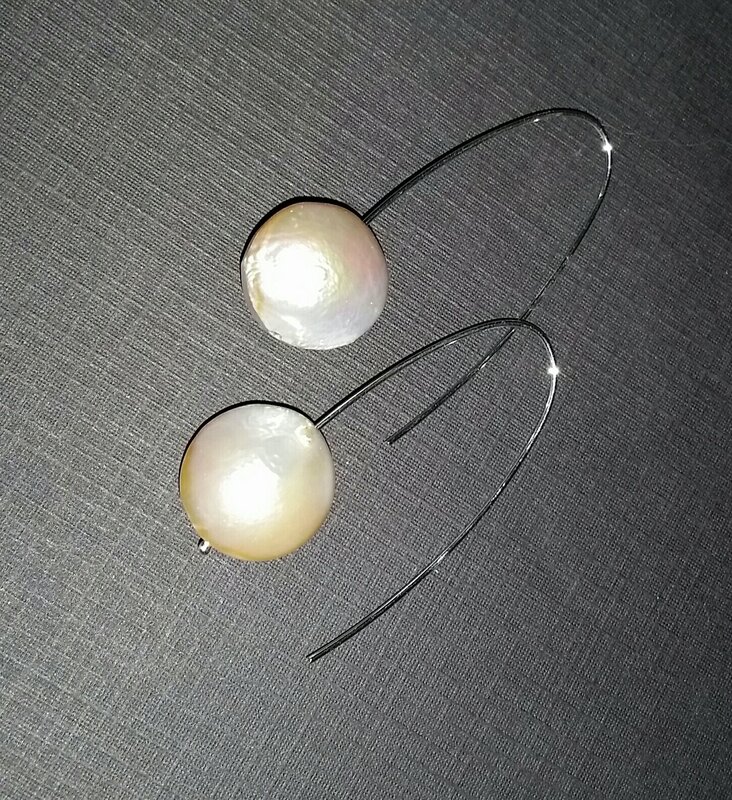 Today’s project was a simple pair of earrings. I got my torch hooked up today (Smith Little Torch, oxygen & propane) so I wanted to use it. I took 20 gauge sterling silver wire and cut several 4.25″ lengths, then used my torch to bead up one end of each & make head pins. My old paste flux was completely unusable, but I have some Batterns which is better anyway so I used that. That just helps make sure there’s no firestain on the end result. Then I have these gorgeous mother-of-pearl beads – they are just over a half-inch across. I put one each on two wires and then bent them gently into an earring shape. I love that look! To strengthen the wires, I then put them in my Lortone tumbler with mixed shot & burnishing compound for 45 minutes. I wasn’t entirely sure the beads would hold up to that…but Yes! They did. The end result is simple, elegant, and lovely. This entry was posted in Art, Metal and tagged 100 Days of Metal, Jewelry, Silver. Bookmark the permalink.